"A better country, that is, an heavenly." Source: Hymns Ancient and Modern. London: William Clowes and Sons, Ltd., 1922, #227, p. 238. 2. O one, O only mansion! 4. Thou hast no shore, fair ocean! 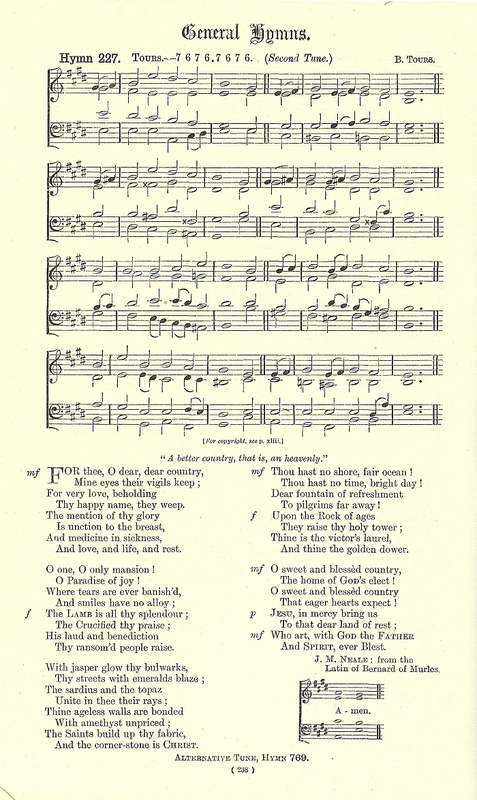 Sheet Music "Tours" by B. Tours from Hymns Ancient and Modern. London: William Clowes and Sons, Ltd., 1922, #227, p. 238.